Hallyu star Jang Keun-suk has created a mobile dating simulation game for fans to experience a secret romance with the star. The game, “Jang Kun-suk Heart-beating Love Story,” was released in Japan on Sept. 20. 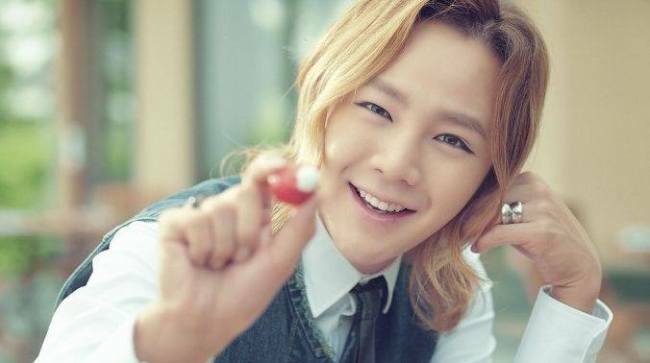 “With the special effects in the game, romance with Jang Keun-suk will seem more like reality than a fantasy,” said Jang’s agency Tree J Entertainment. Players start out as an employee at Jang’s agency, and can experience dating the star in secret, with realistic special effects that will make it seem as if Jang were really in front of the player. A promotional commercial for the game was launched in Japan on Tuesday. The commercials are comprised of three episodes: “Encounter,” “Working” and “Dating.” The commercials for “Working” and “Dating” will be released in October and November, respectively. “Encounter” includes the first meeting between the star and the player in an office setting. Meanwhile, Jang is currently playing the lead role in comic book-based KBS television series “Beautiful Man,” as Dokgo Ma-te, the most beautiful man in the world.